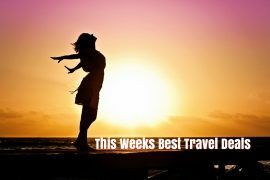 In my best travel deals this week I have a last minute all-inclusive holiday, a flash sale to the Maldives, a luxury winter break on the Amalfi Coast, a Christmas market break in Vienna, a family trip to Lanzarote after Christmas and two amazing cruise deals you won’t want to miss! Escape to Majorca this weekend where the temperature is 29 degrees and sunny! Stay in the highly rated (check out the reviews on tripadvisor) Ferrer Isabel in Cala Bona on an all inclusive basis for seven nights for only €463 per person. This is actually half price! With flights, accommodation, transfers, baggage and all meals and drinks included, you will need no extra spending money! USE code SEPT100 to save €100 off this or any TUI holiday over €1000 in September. Did you know you can get to the Amalfi Coast in for €44 return in November? The same flights in July would be ten times the price! I found a great deal staying in one of Sorrento’s best hotels, the 5* Parco dei Principi, with breakfast included for only €428 per person. This hotel is superbly located beside the beach and receives amazing reviews on tripadvisor. Trying to get away after Christmas is not easy! I searched the web and this is the best sunshine break around. Fly to Lanzarote on the 31st of December and spend seven nights in the THB Tropical Island apartments for only €2166, based on 2 adults and 2 children sharing. Flight departs early on the 31st so you will have plenty of time to enjoy the New Years Eve festivities. A flash sale to the Maldives doesn’t happen very often, but it’s happening now! Stay at the 5* Coco Palm Dhuni Kolhu resort before the 30th of April and receive a 15% discount, a free night and the best of all – a free upgrade to all-inclusive! This is a massive saving of €1225 per person! 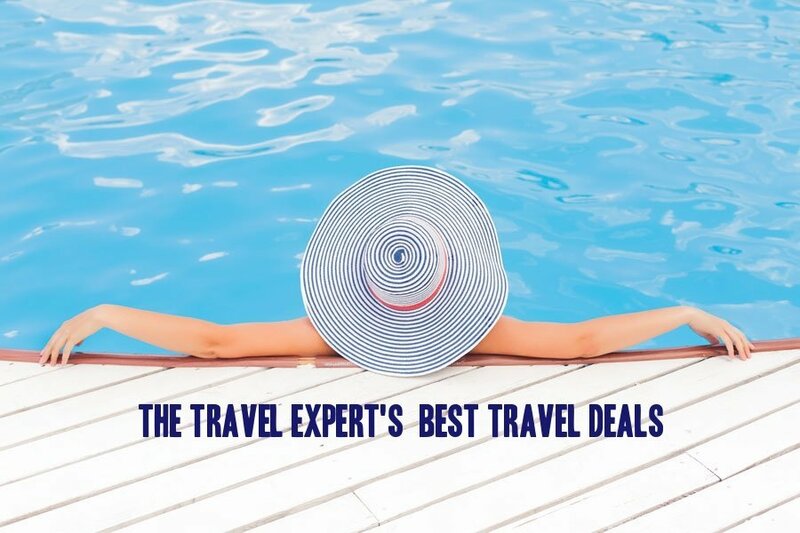 Prices from €1769 include flights, seaplane transfers and beach villa for seven nights on an all inclusive basis. Spend two nights in Miami, four nights in Vegas and four nights cruising the Bahamas on Royal Caribbean’s Navigator of the Seas – all for only €1345! Yes you read that right, price includes all flights, accommodation and cruise with meals. You will even get the chance to spend the day at the brand new Perfect Day at Cococay! Enjoy a Christmas markets break in Vienna this year. Fly from Dublin on Saturday the 8th of December and enjoy a three night stay in the centrally located Art Hotel for only €258. Price includes Aer Lingus flights and hotel for three nights. Fly out on Sunay the 9th and save a further €30 per person! Struggling to find a good deal for the October mid term break this year? Plan now for 2019 and you can secure this amazing early booking offer! 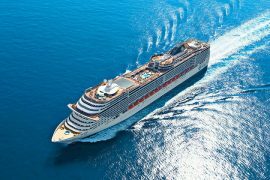 Cruise the Med on the brand new MSC Bellissima for only €779 per person including flights, transfers, baggage and a free upgrade to a balcony cabin! This seven-night cruise departs on the 25th of October and visits Spain, France & Italy – I am very tempted to book this myself! Previous articleFamily Deal to Lanzarote for New Year, 2ad & 2ch, Flights & Apartment, €2166!